Anyone know what codecs you need to play this in the nVidia 3D Vision Video Player? I can play it in Windows Media Player, but of course… that doesn’t support 3D Vision. 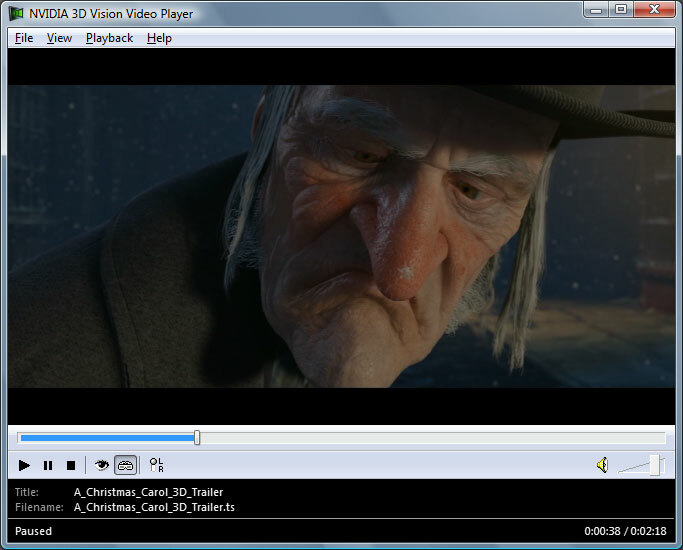 MEPG4 H.264 with AC3 audio, check in the 3D Vision Video Player settings, in the Decoder section that there are MPEG 4 splitter and decoder selected and if not choose from what is available on your system. You can use ffdshow for example, install it if you don’t yet have it. For what it’s worth, it’s my opinion that this is one of the worst movies I’ve ever seen, and I like just about everything. I’ve only gotten up and walked out of 2 movies in my life, and this was one of them. I much prefer Patrick Stewarts attempt at this :p still at least its something to add to the 3d library..
IMO it is up there beside AVATAR! I actually saw it again in IMAX and loved it even more. It is so stunning and visually amazing it takes one’s breath away. LOL! And saying is borring/horrible WITHOUT seeing the whole movie is actually really is funny. A torrent file would be great. I cant get a good download speed with thoses links. I have no idea how to play this, it says it can’t play it in stereoscopic player or nvidia player. You can always use CyberLink PowerDVD 10.